The News offered this bit of wisdom for driving: "Ninety percent of all driving decisions are based on sight. For everyone's sake, be certain you're seeing things as they are. Have your visioned examined annually." Estacada resident Margaret Ele celebrated her 71st birthday with a surprise party at the Safari Club. Her husband Harvey and the couple's children and grandchildren attended the celebration. At the Broadway Cinema, proceeds from a showing of "Sidewinder One" would benefit the Estacada High School dirt bike club. The movie, which starred Marjoe Gortner, Michael Parks, Susan Howard and Alex Cord, featured "Digger, JW and the Dragon Lady blasting across the back county on motocross." During their monthly breakfast, the Estacada Optimists Club had recently honored several local students — Missy Jones, Marc Carlton and Shana Stadey. Jones, a senior at Estacada High School, was honored for her artistic talents. "She is creative and works hard on art assignments," said school superintendent Gail Foster Perkins, describing Jones. Carlton, an eighth grader, had made honor roll for all of his terms at Estacada Junior High School. "He was writer of the month and student council representative," The News reported. Stadey was a sixth-grader at Eagle Creek Elementary School was honored for strong academic performance in class as well as assisting younger students in other classes. The Estacada City Council was planning to form an arts commission for the city. "Mayor Allen Cameron instructed City Manager Greg Ellis to pursue establishing the Eastacada Area Arts Commission," The News reported. The commission would consist of seven members, with the goal of increasing "the availability of the arts to residents of the Estacada area." Twenty years later, the Estacada Area Arts Commission still facilitates events in town. John Freese was one of 16 artists who had joined forces for the Spiral Gallery's group show for the month, "Local Scenes." Freese, a painter, hikes around the Estacada area to find inspiration for his works. 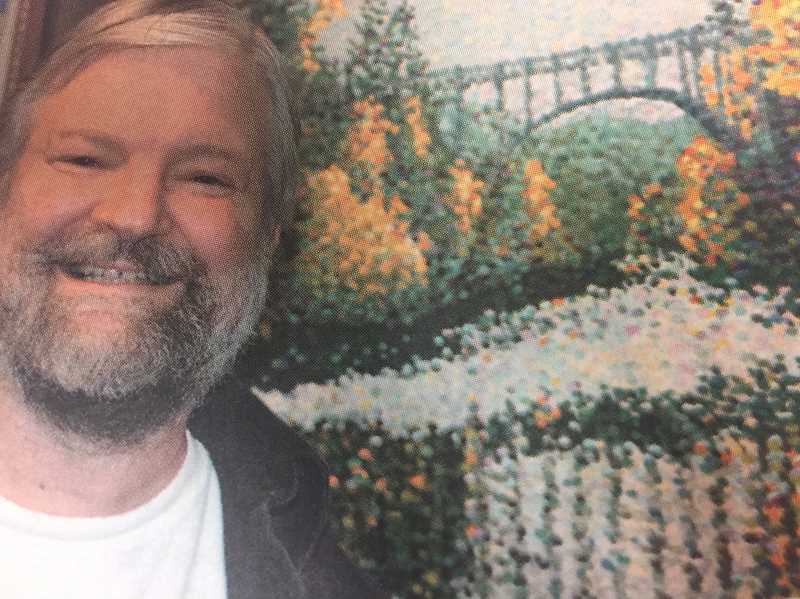 "The end result often involved a technique called pointillism, an impressionistic style that uses tiny, brilliant spots of color that blend together to create the image," The News reported. Since "The Man Who Loved Flowers" had been filmed in Estacada two years prior, the short movie by Bricker-Down Productions had appeared at more than 20 film festivals in three countries. Writer and director Justin Zimmerman believes filming in Estacada brought something special to the film, which is based on a Stephen King short story of the same name. Broadway Street and other nearby locations can be seen throughout the six minute film. "(The film initially showcases) the ideas of love, community and people coming together," he said. "It's a tranquil place that got shattered. Estacada really brought that idea alive." In the story, a young man buys flowers for his beloved as people notice him, but things quickly take a darker turn.